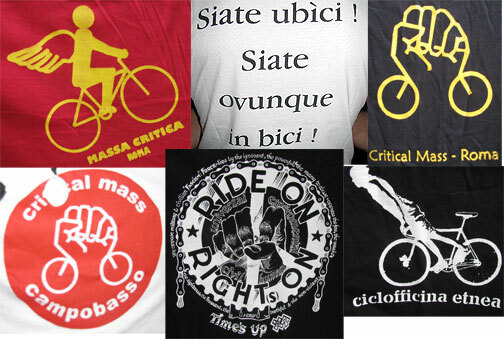 I ran around snapping shots of t-shirts, trying to grab the breadth of things bicycle that were representing. 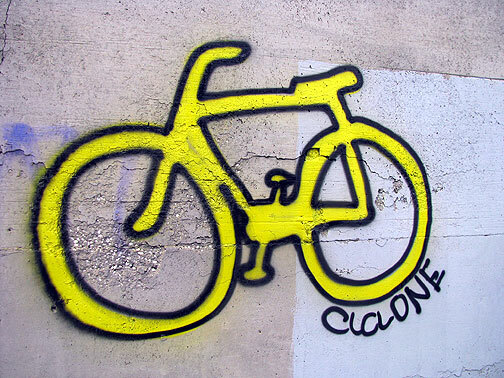 The first batch went up in the post on Critical Mass on May 30. The black t-shirt referring to $100 barrel oil, a celebration because the party is over, was done by the folks from Lyon, who held a short celebration on a freezing cold Jan. 5 08 at a long-abandoned gas station in Lyon, France.